Do you know the difference between a Tornado Warning and a Tornado Watch? Many people do not. It all comes down to "when to take action" and "when to prepare to take action". Here is an explanation of what each means and what you should do when one is issued. Take shelter indoors immediately. 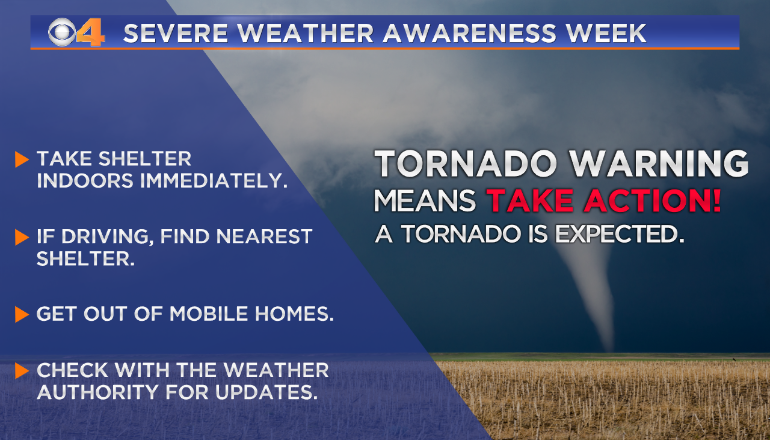 Go in to the location in your home, work, school, shopping mall or other building's location designated as your tornado shelter. Oftentimes it is a basement or an interior room (bathroom, closet, or hallway). You want to stay away from windows and put as many walls between you and the outside as possible. If you need help determining a good location, check out this page from FEMA. A Tornado Watch is your "heads up" alert. 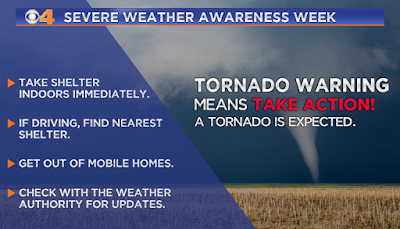 Usually, there is not an immediate threat, however it is time to prepare in case a Tornado Warning is issued within the next couple of hours. 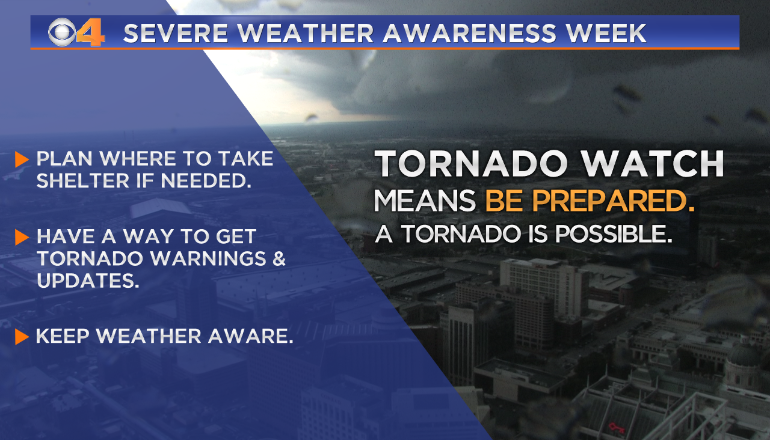 This is the time to plan where to take shelter if a Tornado Warning is issued. Make sure to enable your way of receiving Tornado Warnings. 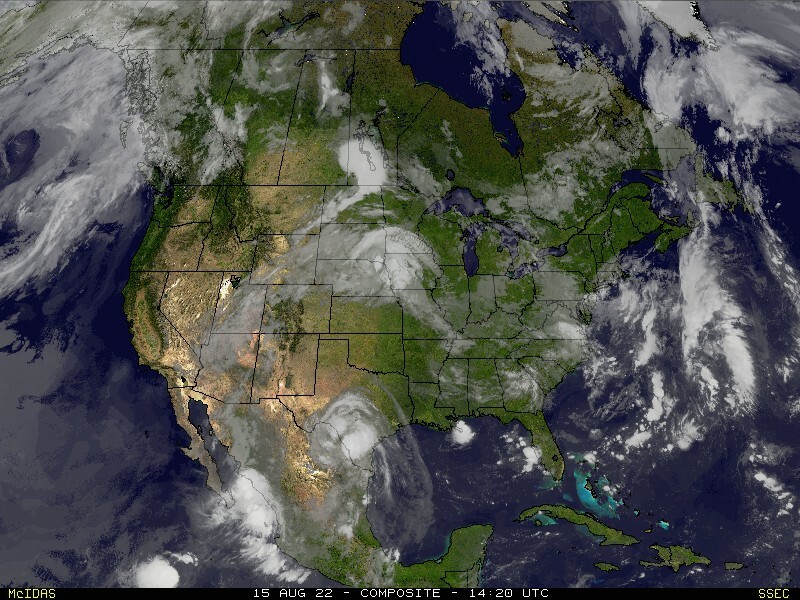 Also, it is the time to keep an eye on weather conditions and have a way to monitor weather conditions - monitoring the latest from a trusted weather source.